GROSSMONT COLLEGE –A dynamic women’s tennis rivalry/partnership and an oh-so-close comeback in men’s volleyball highlighted a successful spring sports campaign for Grossmont College. 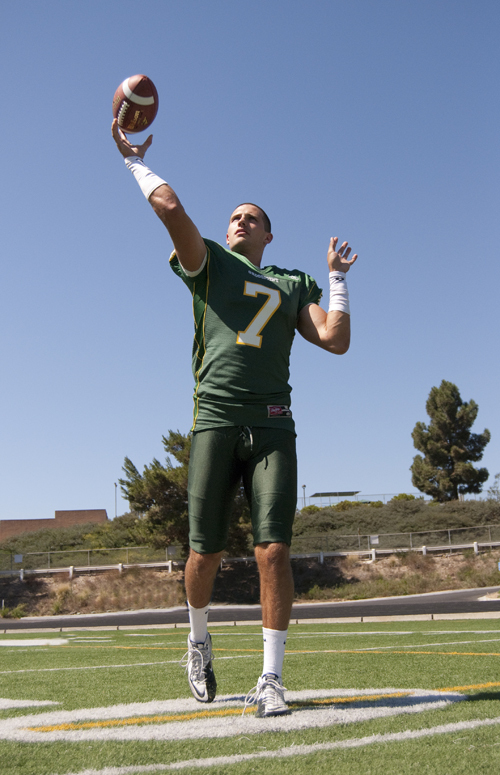 Women’s tennis, basketball, and softball all won Pacific Coast Conference titles, as did the men’s swim/dive team. Women’s tennis and men’s volleyball carried their victorious ways to the state level. Jazmin Ortiz and Sharon Reibstein, the top two players for women’s tennis coach Megan Haber, found themselves constantly playing for regional and state title matches – either against each other in singles, or together in doubles. In the Southern California regional individual tournament, held at Grossmont College in May 5-7, Ortiz and Reibstein found themselves playing against each other for the regional championship. Reibstein won 6-1, 6-3. The consensus judgment on how it felt to compete against one’s teammate, according to the players and Coach Haber, was “weird.” Haber noted that in such events she did not coach as actively as she sometimes does, but rather just kicked back and enjoyed watching the match. School officials say that graduation ceremonies will be conducted in the Main Quad or on the second level of the parking structure, depending on whether it rains on June 1st. GROSSMONT COLLEGE–The 50th Annual Commencement Ceremony is scheduled to take place on June 1, at 5:30 p.m. in the Main Quad, unless it is raining, in which case the ceremony will be held on the middle level of Grossmont’s parking structure. Let’s hope for sunny weather. GROSSMONT COLLEGE–Russell Lindquist, currently managing editor of the GC Summit, has been named editor-in-chief for the summer and Fall 2011 semester, it was announced by Instructor Donald H. Harrison. GROSSMONT COLLEGE–With academic activities sharply curtailed during the summer session, the campus will be busy with construction and repair projects, according to Grossmont vice president Tim Flood. Aside from a temporary relocation of the Cashier’s Office, the construction is not expected to affect student routines on campus. Workers will be renovating and repairing rooftops on many Grossmont buildings and making signifiicant upgrades to two large lecture/concert halls. Room 220 in building 26, the site of many Music Department recitals in addition to classes, will get new seats, an expanded stage area, upgraded lighting, a new foyer, and enhanced multimedia capabilities. Room 370 in building 31 is receiving a similar makeover. Both rooms will be made compliant with all current ADA (Americans with Disabilities Act) regulations governing ease of access. Because of construction, the Cashier’s Office will be moved from its present location to the north end of Building 22A, where the box office for the Grossmont Theatre Department now is. The relocation will begin in June and last for four to six weeks. Summertime hours for the Cashier’s Office will be Monday-Thursday from 8 am to 6 pm. 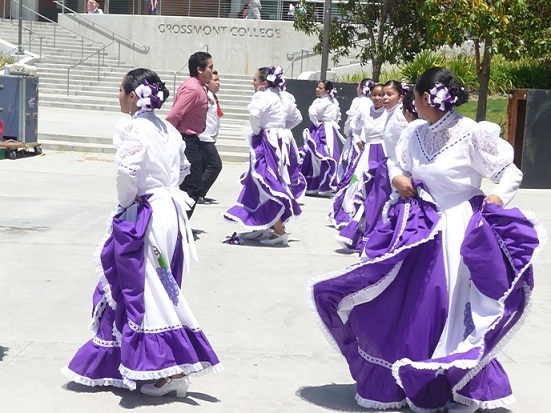 GROSSMONT COLLEGE–Some special guests helped the Grossmont College community celebrate Cinco de Mayo over the lunch hour. Media instructor Donald Harrison was there to take a few snapshots. 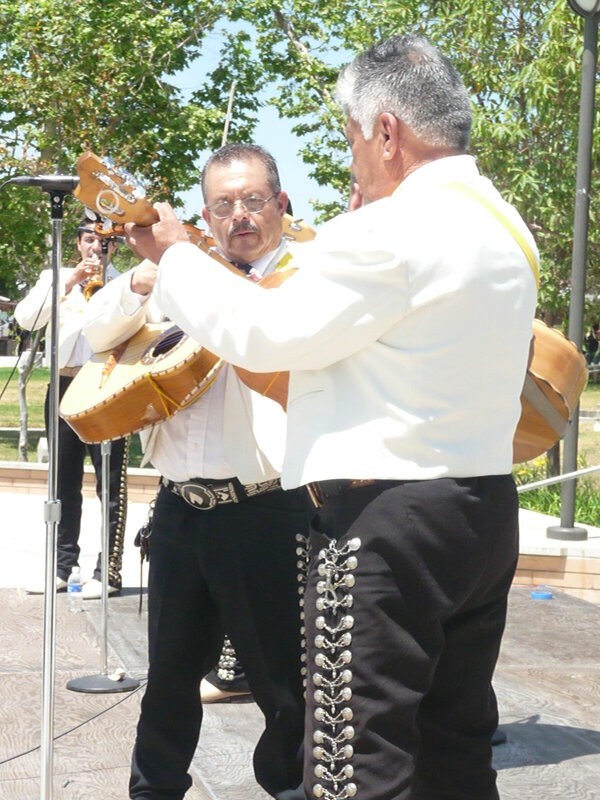 Performing on the quad was a mariachi band from Athulense, a town near Guadalajara in Jalisco State, and a group of folk dancers from the Atlacomulco in the Mexican state of Aguascaliente. 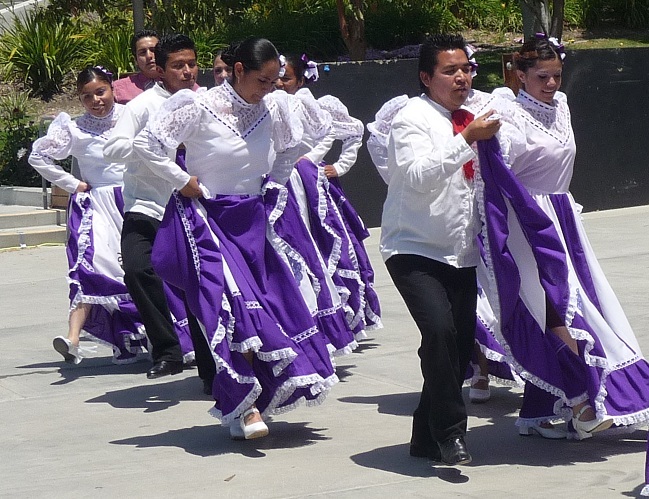 The dancers also happen to be foreign exchange students learning English at Grossmont as part of training to be ESL instructors in their native Mexico (more information in this Summit article). You can read more of photographer’s Donald Harrrison’s ruminatinos on this celebration here.